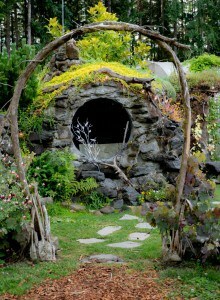 Three Washington State Hobbit Houses and Hobbit Holes to visit. I recently updated this post as I found out about ANOTHER hobbity dwelling located in one of my favorite PNW getaways — Orcas Island. So I lied…this post now has four hobbity places to stay in Washington State, but I’m keeping the post as-is. 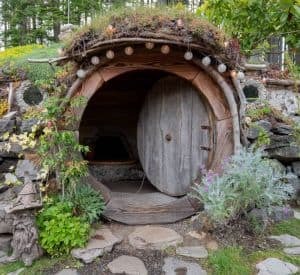 You can read through the articles to learn about the three original hobbity places — the little Hobbit House at the Brothers’ Greenhouses — which you can’t rent but is adorable, the relaxing Forest House on Orcas Island, or “Underground Hygge” in Orondo. 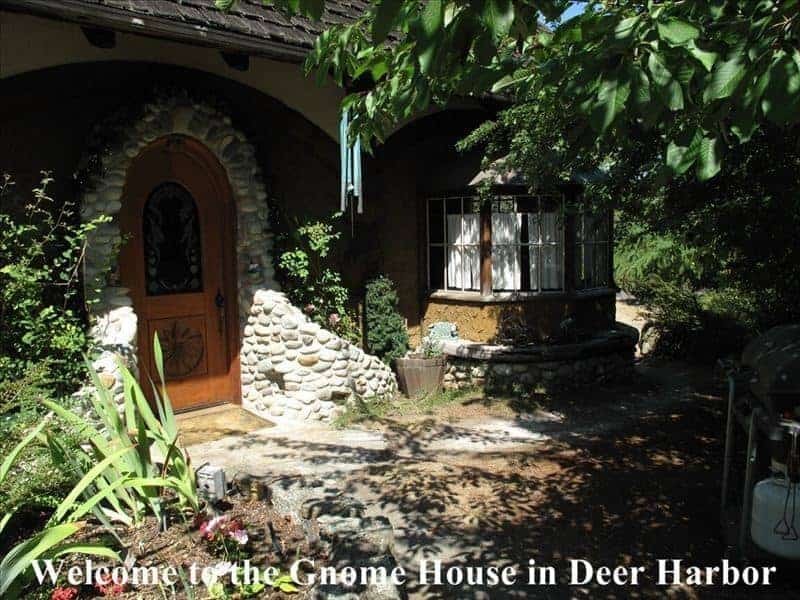 However, if you’ve already read the article and are back again, you can just skip to the end to learn more about the Gnome house which I haven’t visited but am putting on my to-do list. “You had me at hobbit.” I wish that this is what I had said, but Jerry Maguire was several years away. Shortly after I met my husband, I remarked on his large, hairy feet. A Lord of the Rings nut who claimed to have first read the book at age seven (It seems to get earlier in some of his stories…I swear pretty soon he’ll have emerged from the womb having read all of Tolkien, including the Silmarillion!) he did a little hop and said, “I’m a big hobbit!” If you’re also a big hobbit and your version of travel lust includes a pining for the Shire, these three spots in Washington State will temporarily satisfy your hobbity cravings until you can get to Middle Earth or, at least, New Zealand. Set out on an adventure to the back of this Port Orchard nursery to find a house so tiny it doesn’t even have a bed. You can’t rent it and stay, but you can go inside and check out the little fireplace. 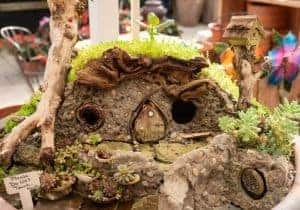 Check out the rest of the nursery as well for their castles, fairy garden supplies, and an incredible mini shire fairy garden complete with tiny dwellings and a train set. Sadly, the mini shire is not for sale, but it inspired me to start trying to make my own. I love this place so much, I wrote about it in TWO posts. 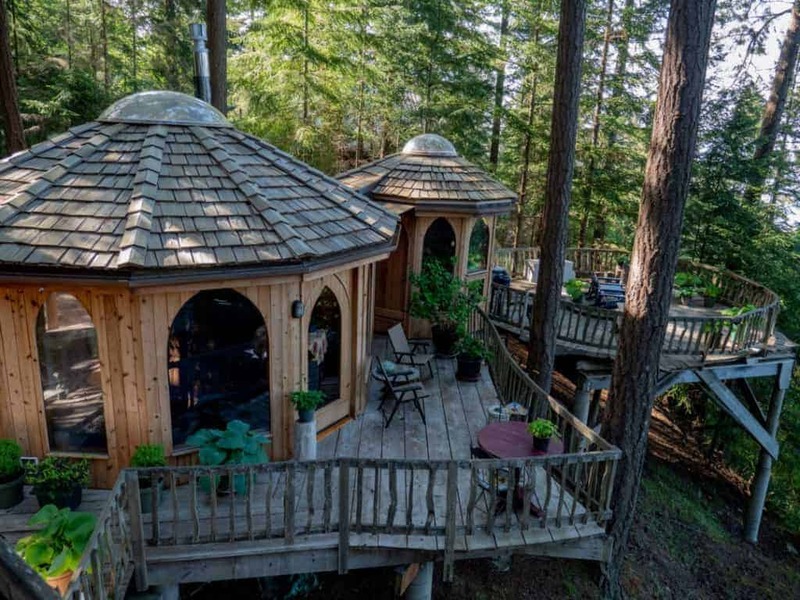 Near Eastsound, on Orcas Island, this magical (And I don’t tend to overuse words like “magical”) dwelling was formerly called the “Hobbit House” until the owner received notification that the word was trademarked. Now called the Forest House, you can rent it on TripAdvisor. 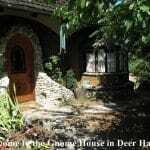 The book itself starts with “In a hole in the ground lived a hobbit.” While this house has features that would please any halfling, its location is among the trees and might satisfy some of the citizens of Rivendell. I think The Forest House might be a better name. 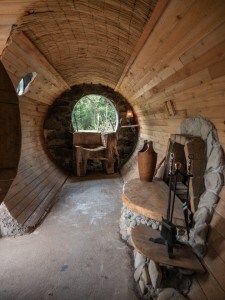 I have my reservation to stay in this underground home near Lake Chelan with my big hobbit…but to stay here you should book a year in advance when reservations open on AirBNB. I’ll update this after my stay here (next year). Photos from their listing on VRBO. In the snow this looks even more like a little chalet…but the interior features are Hobbity or, rather perhaps, gnomish. I added this one because it’s adorable (even more inside than outside) and is going on my to-do list. It rents on VRBO . One of my favorite places to go to relax. Highly recommended! 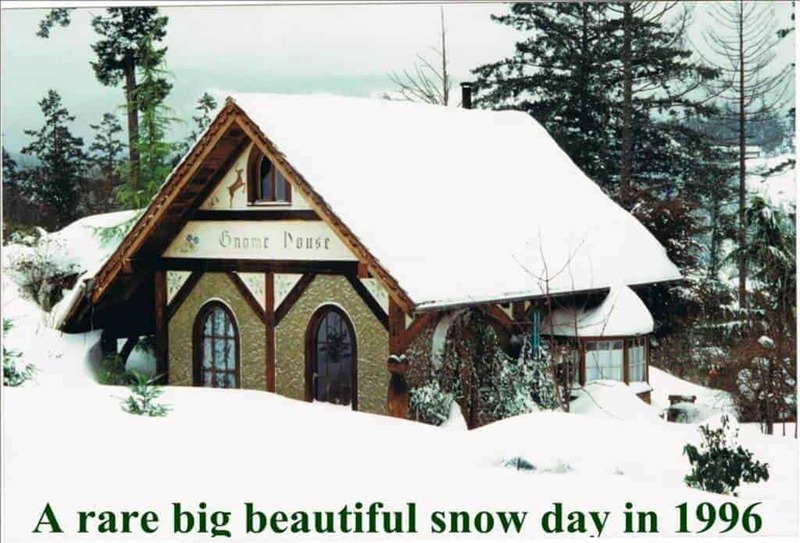 The location of the Gnome House is approximate here, but it’s on Orcas Island, one of my favorite PNW getaways. It rents on VRBO. 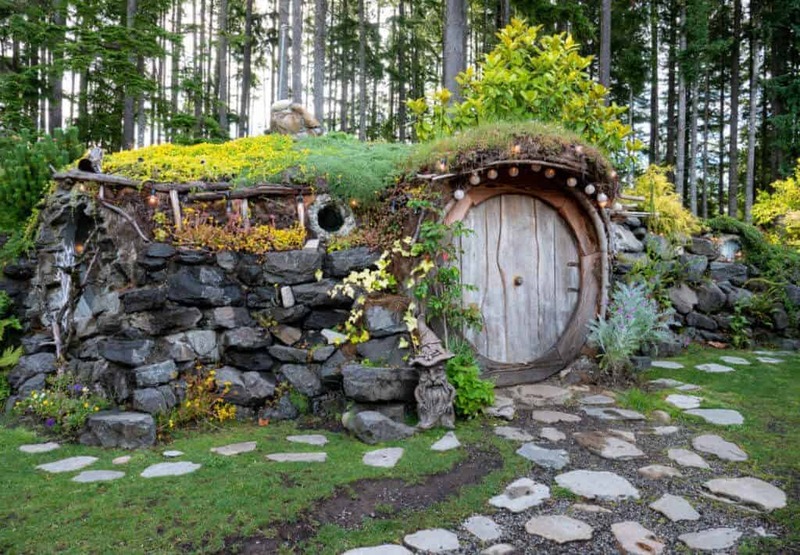 If hobbit houses aren’t necessarily your thing, but you’re looking for cool resorts in Washington State, you can check out this post on AllTheRooms.